El Gordo has an international following, which makes sense because the minimum jackpot is €6.5 million! Hit the jackpot if you get all 6 numbers – 5 from 54 numbers and 1 from 10 bonuses, or collect other great cash prizes! 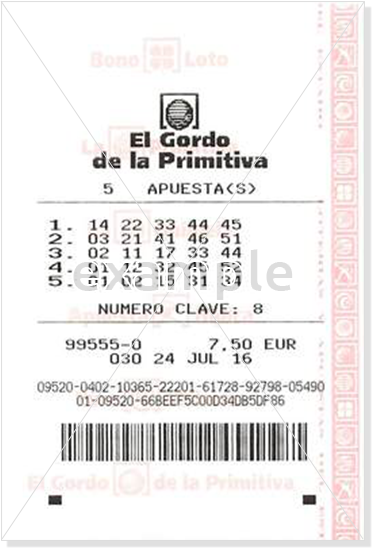 You can play El Gordo de la primitiva lottery online from anywhere in the world. To play El Gordo you need to select 5 regular numbers out of a possible 54 and 1 bonus ball from 0-9 including 0. You can choose your El Gordo de la primitiva numbers yourself or select them randomly using our quick pick option. Match all 5 regular and 1 bonus ball to hit the jackpot and become an El Gordo millionaire overnight. El Gordo is a Spanish national weekly lottery that has history going all the way back to 1763. Find out more about the El Gordo including the odds, prize breakdown & history at our El Gordo lottery info page. Check recent results at our El Gordo results page, here you can see the history of results and more details of each draw. El Gordo vs. Spanish Raffles: What's the Difference? Here’s the fun part; anytime your numbers match & you win a prize you will be sent an email notification automatically to let you know you've won! Any non jackpot prize will be transferred directly into your account after the El Gordo de la primitiva results have been published. If you win a jackpot, you will be contacted directly from one of our account managers to organize how best to claim your winnings. Jackpot wins may need to be collected in the country where the ticket was purchased. In this event, we will notify you and advise how best to claim your El Gordo de la primitiva jackpot winnings! Are you ready play the world famous El Gordo de la primitiva lottery? Then get your El Gordo lottery ticket today and see just how easy it is to play! If one ticket is not enough, increase your odds instantly by playing one of our Group Games where you can save money & give yourself bigger chance of hitting the jackpot without breaking the bank. Most Group Games will up your odds by over 5000%! El Gordo has some of the biggest jackpots in the world and with it being one of the only lotteries that takes place on a Sunday, El Gordo is the perfect end of the weekend draw that might mean you never have to go back to work again! 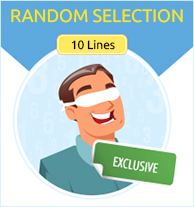 It’s easy to see why this is such a popular online lottery to play, good luck! 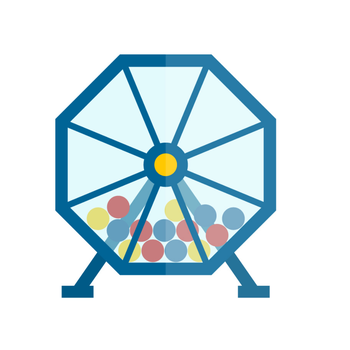 Here’s the fun part; anytime your numbers match & you win a prize you will be sent an email notification automatically to let you know you've won! Any prize up to $600 will be transferred directly into your account after the El Gordo de la primitiva results have been published. 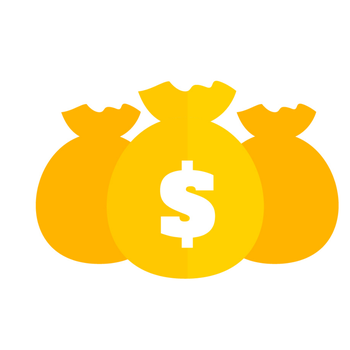 If you win more than $600, you will be contacted directly from one of our account managers to organize how best to claim your winnings. Jackpot wins may need to be collected in the country where the ticket was purchased. In this event, we will notify you and advise how best to claim your El Gordo de la primitiva jackpot winnings!